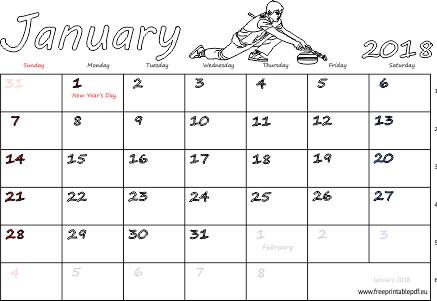 Calendars for January 2018 in English with week numbers. Guiding theme - curling. UK and US holidays. Just download interesting project and print it. Useful for kids and adults. PDF format. May be use like planners.